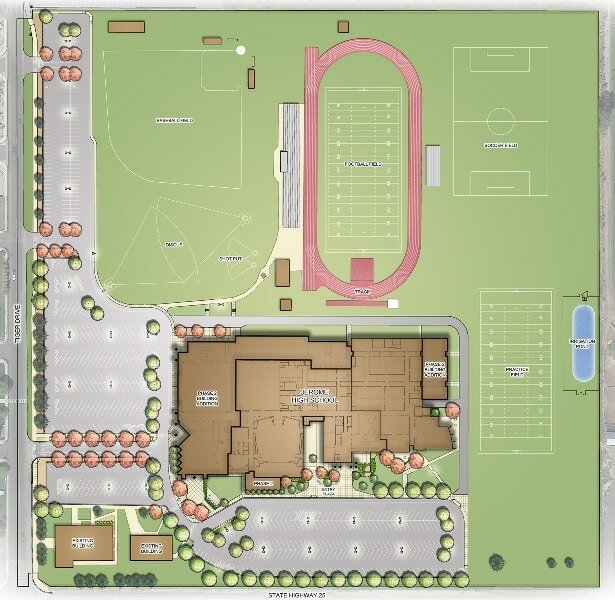 As part of the LKV Architects design team, BRECKON landdesign provided site design and construction documentation to accommodate an addition to the existing high school in Jerome, along with other site improvements. Scope of work encompassed redesign of this 39-acre site to include landscape and irrigation design for all improvement areas. BRECKON landdesign was involved from initial programming through design development and project delivery.